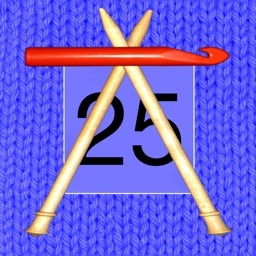 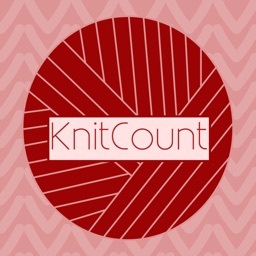 KnitCount is the perfect way to store the stitch count for each of your knitting projects. 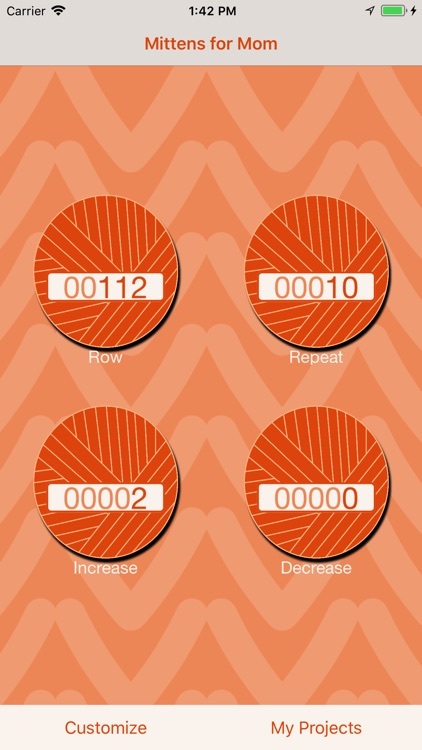 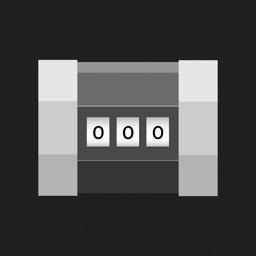 Simple, intuitive design and animation makes for the cutest and easiest-to-use row counter available. 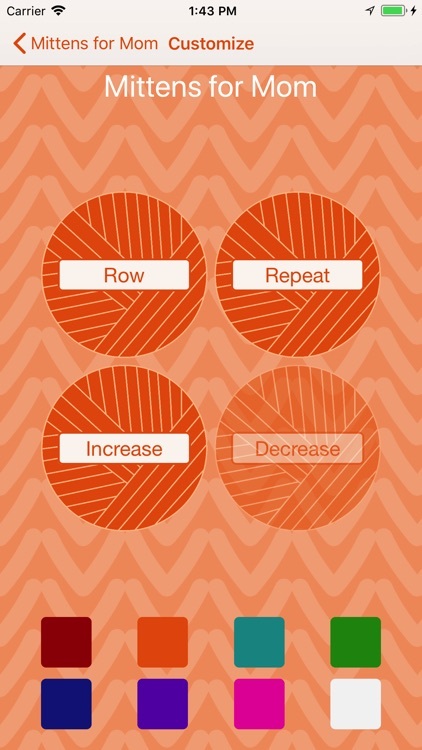 Row, repeat, increase and decrease counters can be added and various colors can be chosen to customize any project. 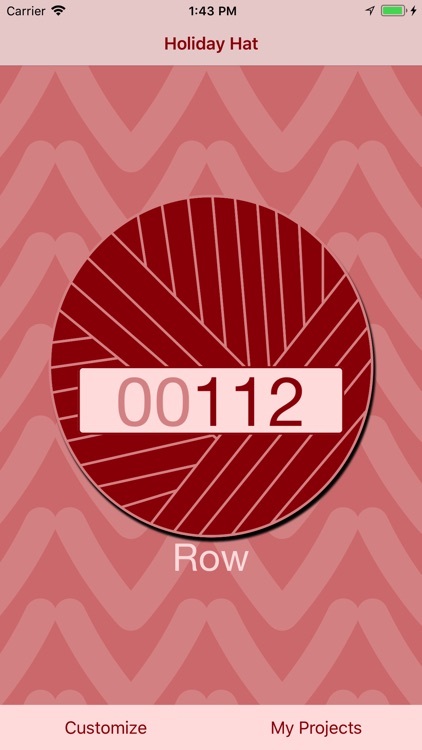 Tap the appropriate ball of yarn for the counter to increase and simply swipe away if you need to rip back a few rows. 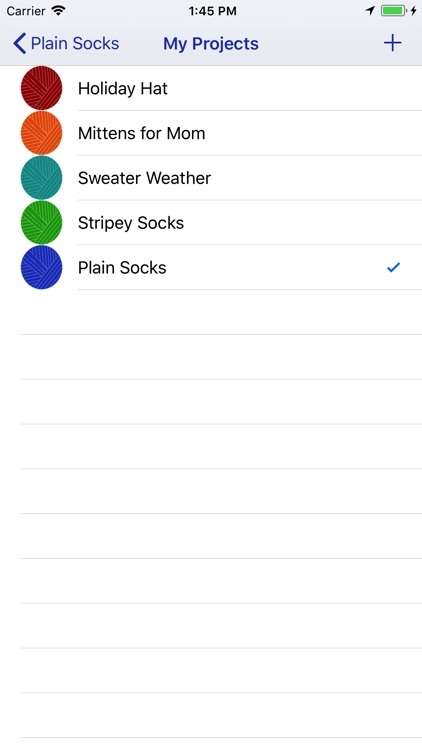 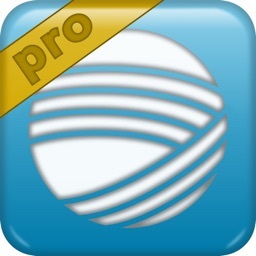 Tap and hold if you need to reset and click the customize button to add in the project name, change the color or add different counters. The projects button will take you to the list of your counters where you can select an existing project or click the plus button to get started.